Originally built by Robert Trent Jones Jr. in 1986 with enormous perched greens and massive containment mounds, it’s now a graceful, low-profile layout. “We popped the hills at Poppy Hills,” says Trent Jr. An added feature are sandy areas off the fairways, in the fashion of Pinehurst No. 2. How different is the old Poppy Hills from the new Poppy Hills? Does it seem like the same architect built both versions? It’s a credit to Trent Jones Jr. that he agreed to bulldoze away his original design in favor of something more contemporary. The best golf architects are forever re-questioning and refining their designs over time. Donald Ross did it. Pete Dye is presently doing it (for instance, removing railroad ties from courses where he installed them 40 years ago). Trent Jr. has always been a liberal thinker in that regard. 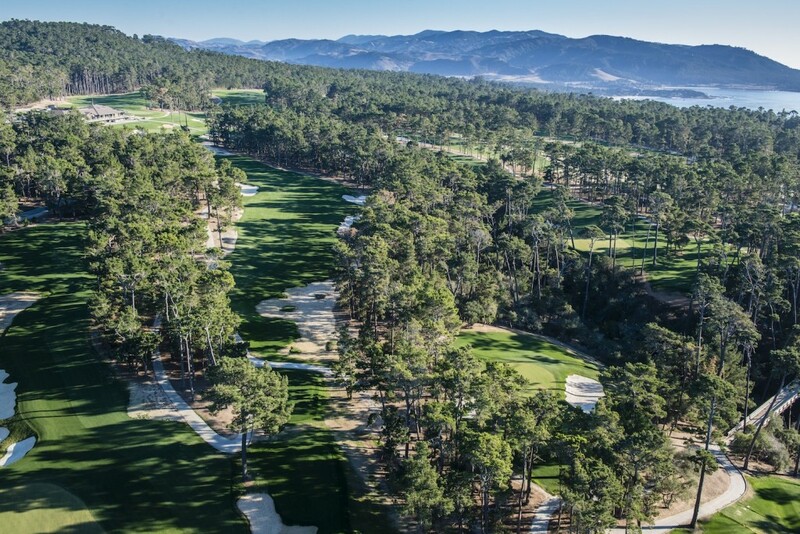 Where does Poppy Hills rank among other courses that have been recently renovated? I personally consider Poppy Hills to be the Best New Remodel that I saw in 2014 (and I’ve seen most of them), certainly the Most Improved Course among remodels. Poppy Hills now seems like a brand-new course, which is what you strive for when remodeling an older course. You want it fresh and young and inviting. Where does Poppy Hills now fit among the seven courses in Pebble Beach? Championship golf wasn’t the goal at Poppy Hills, although it could be a great test for the AT&T. I think Poppy Hills has been elevated back to a must-play on the Monterey Peninsula, still behind Pebble Beach, but maybe ahead of Spyglass Hill and Links at Spanish Bay, among tourist golfers. Part of my reasoning is that it’s so fresh, both in its design and conditioning, and part of it is its price, a real bargain compared to others on the Peninsula. It’s always fun to play a beautiful golf course. The turf conditions are ideal; it’s always more fun to have good lies and smooth putting surfaces. Poppy Hills represents a lot of the ideals that are returning fun to the game.